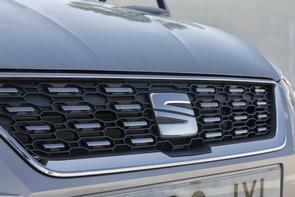 SEAT has released details of its special offers for car buyers looking for 182-registration models, and the news is that you can get zero per cent finance and as much as €3,000 knocked off the price thanks to scrappage. The offers are available across the 23-strong SEAT dealer network from May 21st to July 31st. Buyers can avail of zero per cent finance on all FR and XC models in the Leon and Ateca ranges, and at the same time enjoy as much as €3,000 scrappage against those models depending on what it is you're trading in. Monthly repayments for the Leon start from €219, or from €249 for the Ateca. For cars ordered before July 31st, you can get a new Ibiza on 1.9 per cent finance, with monthly repayments starting from €169. If you fancy a new Arona crossover, that's available on 2.9 per cent finance, with repayments starting from €229. There's also €1,000 scrappage on the Arona, and €2,000 for the Ibiza. For those of us who've had too many kids, you can also get €3,000 scrappage off the cost of a new Alhambra MPV, and the big seven-seater, with its twin sliding rear side doors, can be had on a 3.9 per cent finance package, with monthly repayments starting from €429. On top of all of that, there's also a €229 three-year inclusive servicing plan for all models.